Paramount Pictures today teased its Nickelodeon-based feature toon lineup, including a brand-new The Loud House theatrical movie, at CinemaCon 2017 in Las Vegas! Update (1/18): Deadline is reporting the unfortunate news that Paramount Pictures has removed The Loud House movie from it's February 2020 release date, and that the film is currently off Paramount's release schedule. Insiders have told The Hollywood Reporter that newly-installed Nickelodeon president Brian Robbins — who has a close relationship with Paramount, where he headed up Paramount Players — is in the process of evaluating the various film projects in the works. Update - Wednesday, November 15, 2018: A The Loud House Staff Member who was doing a Q and A with The Rise and Fall of Nick, The Loud House movie is still being made, however, the movie is "Currently Top Secret" from most staff members like animators, designers, voice actors, etc. 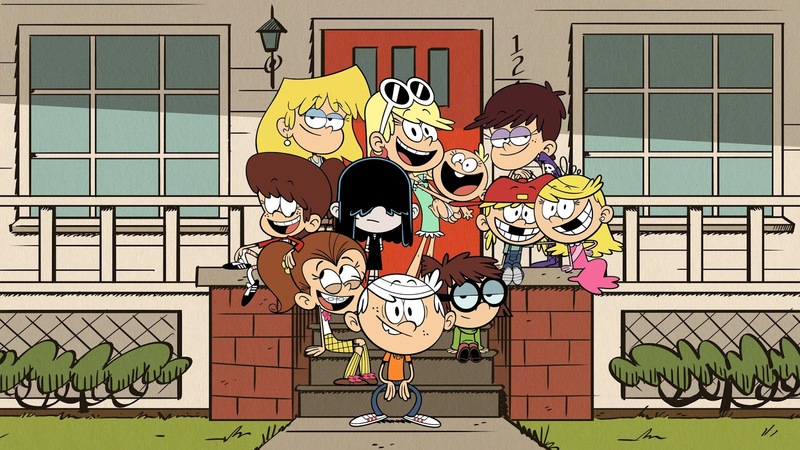 Update - Thursday, April 26, 2018: Kevin Sullivan, a staff writer on The Loud House, has revealed to a fan that Paramount has unfortunately decided to make The Loud House movie right now. Kevin remains optimistic that the film will get made at some point, saying that he doesn't know whether Paramount will start to work on it next year, but hopes fans will have good news about the project before the end of the year. Paramount’s motion picture group president Marc Evans reiterated during CinemaCon 2017 that the studio will be working even more closely with its sister Viacom TV brands, the most immediate of which is Nickelodeon, reports Deadline. While Sherlock Gnomes opening on January 12 was recently announced, the studio has also moved its Amusement Park animated feature from July 13, 2018, to August 10 next year. Following a movie, a TV series inspired by the film will launch on Nickelodeon. In addition, a new untitled Nick-Paramount property will debut on March 22, 2019, along with the SpongeBob sequel, 'SpongeBob Movie 3' on August 2 (the studio’s third SpongeBob SquarePants feature film). 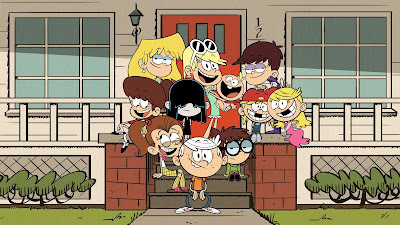 In addition, Paramount is making a movie based on the popular animated Nickelodeon series The Loud House for February 7, 2020, as well as another untitled Nick feature toon for release on July 31, 2020. Paramount’s Motion Picture Group President Marc Evans announced that the studio’s summer 2018 animated release “Amusement Park” is headed to Nickelodeon as a TV series. The series is aiming to launch in 2019, said Nickelodeon Chief Marketing Officer Pam Kaufman, who joined Evans on stage at CinemaCon 2017 in Las Vegas Tuesday. The project, due in theaters on August 10, 2018, is an Ilion Animation Studios production that Paramount will distribute, and has a voice cast that includes Mila Kunis, Matthew Broderick, Jennifer Garner, Ken Jeong and Jeffrey Tambor. Viacom CEO Bob Bakish gave a mandate for more synergy across the company brands — he was particularly burnt over former Comedy Central star Jordan Peele taking his phenomenon “Get Out” to Universal with Blumhouse — and this animated slate at Paramount is just the beginning. No word on how and if the talent or characters will carry over to the Nick project. The film was directed by Dylan Brown. Josh Appelbaum, Kendra Haaland and André Nemec produce. In addition, the studio announced Tuesday a slate of other animated projects, including an untitled Paramount/Nickelodeon collaboration to open March 22, 2019, a new “Spongebob Squarepants” movie due August 2, 2019, and another untitled Paramount/Nick hybrid set for July 31, 2020. Paramount has been through a bruising leadership shakeup, but Megan Colligan, the studio’s distribution and marketing chief, said at CinemaCon on Tuesday that it was a new day for the studio. Colligan said that the appointment of Jim Gianopulos as studio chairman “marks a new moment.” Gianopulos led Fox’s film business for 16 years, and is known for his command of the global entertainment business. “We are thrilled to have him leading the ship and taking us into the future,” Colligan said. “You may have read about Paramount a few times in the past year and to the press in the room, you’re welcome,” Colligan said. Over the next hour and change, Colligan and Motion Picture Group President Marc Evans took the crowd of theater owners through their upcoming releases. The knock on Paramount under Grey had been that the studio lacked high-power franchises. With the possible exception of “Transformers: The Last Knight,” it is true that the films the studio will be releasing this summer don’t smack of being global blockbusters. “Baywatch,” featuring Dwayne Johnson and Zac Efron as hyper-competitive life guards, scored big laughs for its raunchy humor and particularly a scene that found Efron examining a dead man’s testicles in a morgue (don’t ask). It may be a box office success, but it won’t be the kind of cultural phenomenon that sells lunch boxes and inspires toylines. That’s what the Disneys of the world have, and what Paramount lacks. The studio is stacked with awards contenders. “Suburbicon,” an upcoming crime comedy from George Clooney, features Matt Damon and Julianne Moore as happy homemakers who do some very bad and bloody things. It seemed Coen Brothers-esque, which is no surprise considering Joel and Ethan Coen co-wrote the script. Paramount also got a strong response for the ten minutes of footage it screened from “Downsizing,” an off-beat Alexander Payne comedy that featured Damon and Kristen Wiig as a middle class couple who shrink themselves. Under newly appoint CEO Bob Bakish, Viacom has unveiled a strategy that it hopes will reinvigorate the flagging media conglomerate. It wants Paramount and such cable brands as Nickelodeon and MTV to cross-pollinate, creating films that can be turned into television shows, and shows that can inspire movies. “Our partnership will enable our studio to deliver a diverse slate of films to better serve a global audience,” said Evans. In a show of corporate harmony, Evans was joined on stage by Nickelodeon’s Consumer Products President and Chief Marketing Officer Pam Kaufman. With a data-heavy set of slides, she told the crowd of exhibitors that Nickelodeon was a brand like few others with shows like “Henry Danger” and “Game Shakers” that resonate with young children and teenagers. “Honestly we reach everybody,” said Kaufman. The first Paramount and Nickelodeon collaboration, “Amusement Park,” will hit theaters in 2018. “The power of the brand will be used to drive audiences to your theaters to watch movies,” said Evans. That’s what the theater owners care about, particularly if they buy some popcorn while they’re at the movies. Originally published: Wednesday, March 29, 2017. Additional source: Nick and More, Anime Superhero Forum /@PinkiePie97, @Elijah Abrams, @jaylop97. Follow NickALive! on Twitter, Tumblr, Reddit, Google+, via RSS, on Instagram, and/or Facebook for the latest Nickelodeon Movies and The Loud House News and Highlights!